This month we are celebrating Black History Month at our church. Different events are planned throughout the month. Check the Schedule of Events for Fairview below. 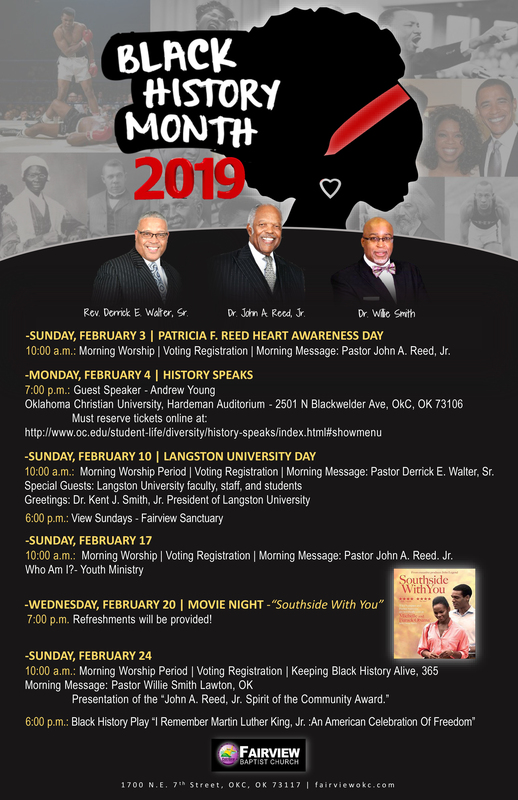 Please visit Fairview's Web Home Page and the Church Calendar for additional events not included on the FBC Black History Month Schedule of Events. Questions should be directed to Teresa Hill, Black History Director, at teeteehill@hotmail.com.